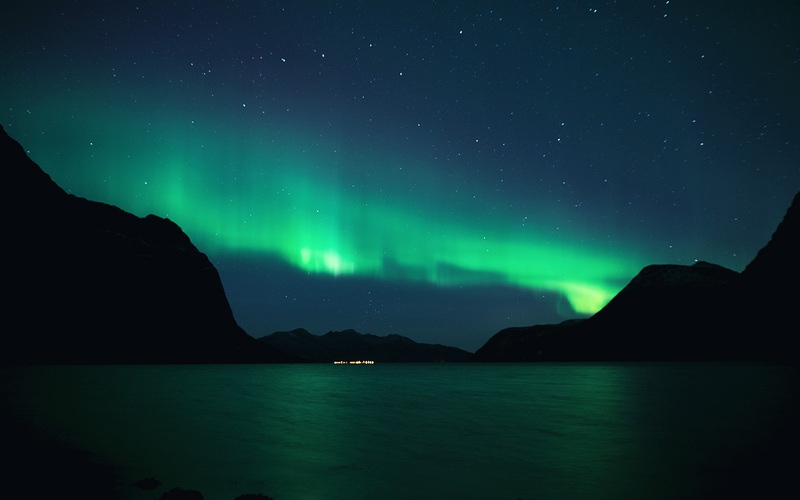 Join us on this exciting trip to chase the magnificent Northern Lights. 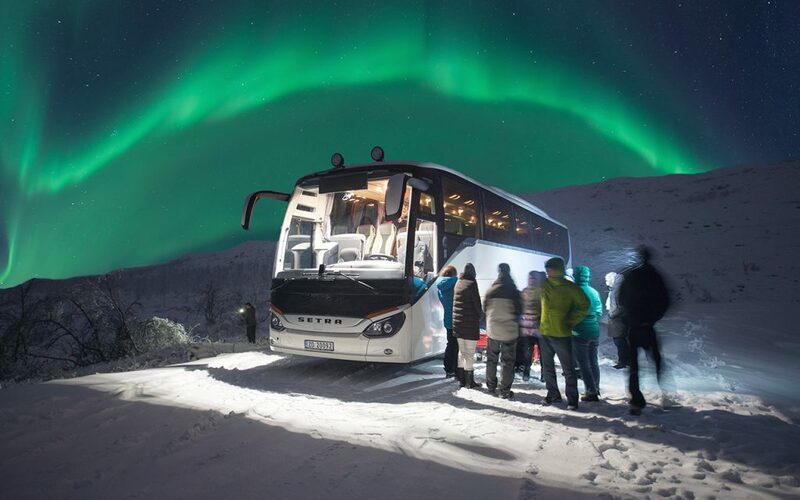 We conduct this tour in a spacious and modern Big Bus which provides comfort and warmth along our journey through the Arctic regions. 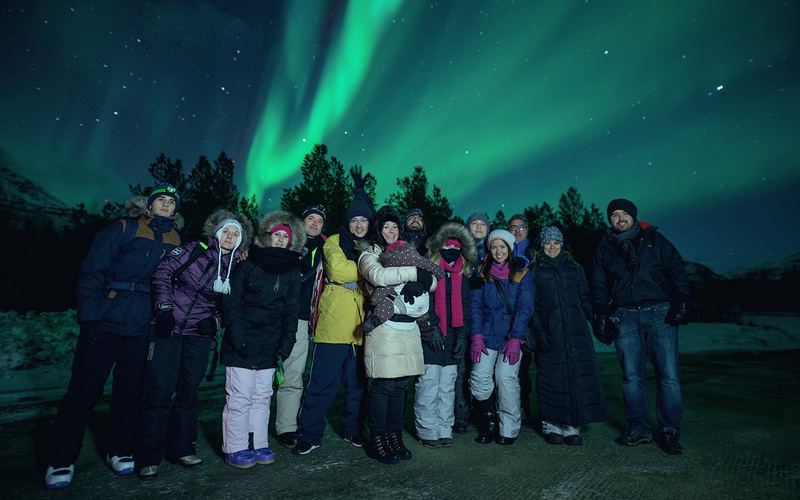 This is our newest tour, guided by the same expert tour guides as our small group chase, giving you an excellent chance of seeing the Aurora. 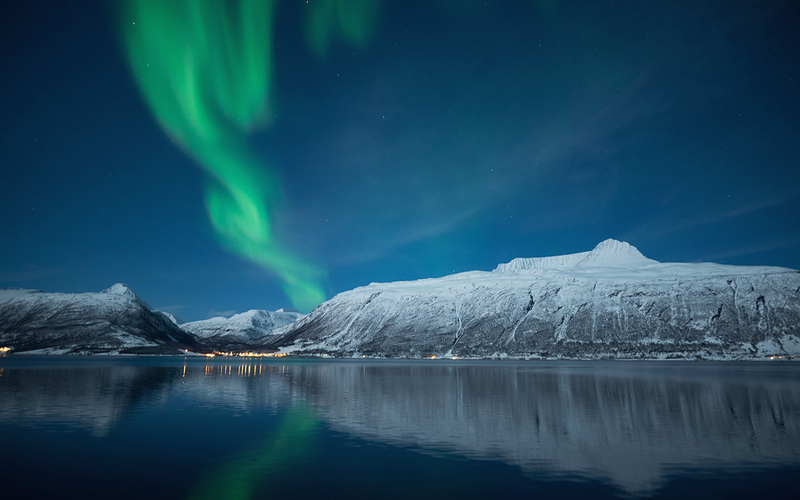 After the tour starts from Tromsø’s city centre, we will drive to where we expect the best weather conditions that night. 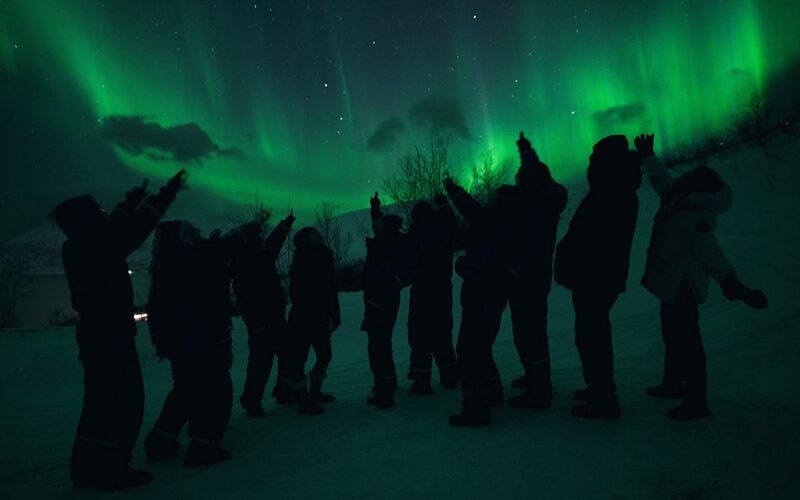 On the journey there you will learn about the Northern Lights and how to photograph them. We will be happy to answer all questions you might have. Once we’ve found clear sky, we will stop and help you set up your cameras. If conditions allow, we will choose a scenic locations with a beautiful foreground. 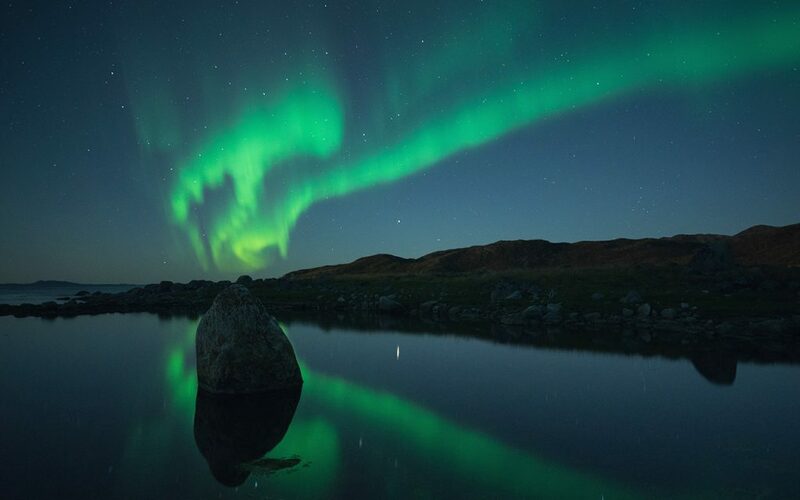 We will take portraits of the Northern Lights and you to share them after the trip. We provide hot drinks as well as hot water that you can use to prepare your own meal. The bus is heated, so you can always warm up inside. 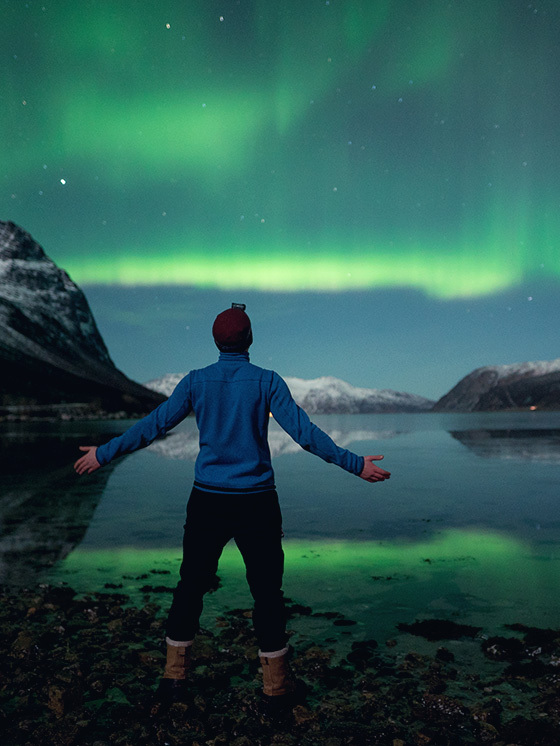 If you’re looking for a comfortable and affordable chase to maximise your chances of witnessing the beautiful Northern Lights, then this is the tour for you! 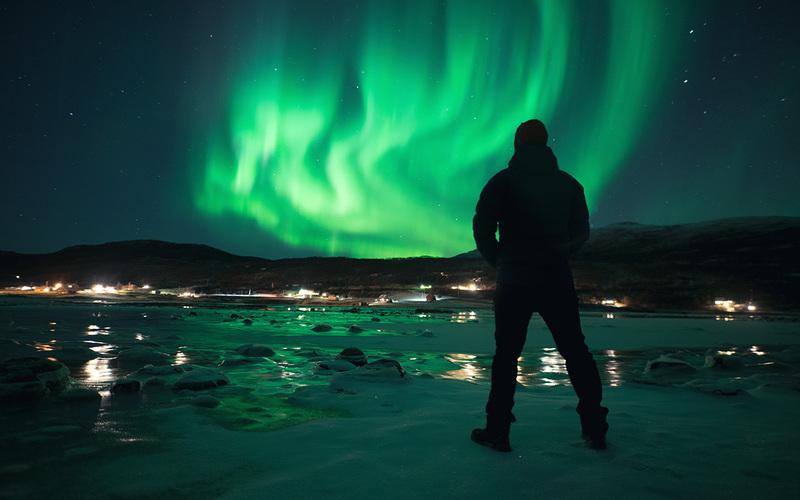 *We try our best to have at least one toilet stop on our Northern Lights chases, but we cannot promise when this will happen since it really depends on where we go. 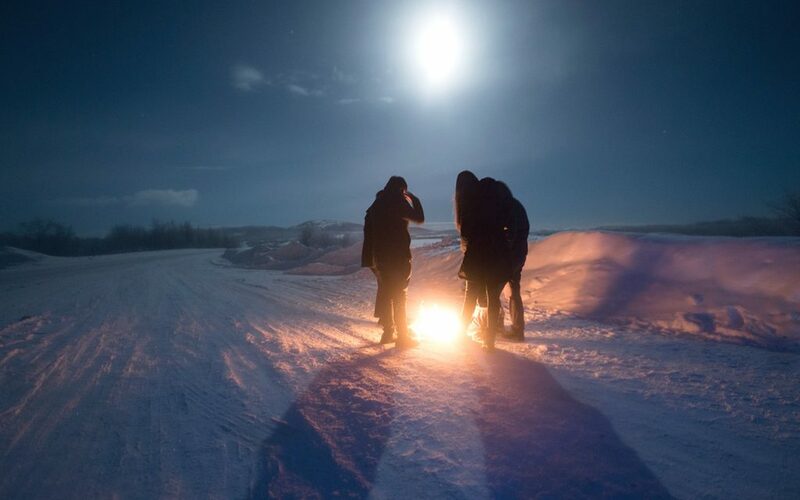 Where we go depends on the weather conditions that day, and if we have to go somewhere where there are no toilets because the chances of seeing the Northern Lights are better there, then there’s also the possibility of not having a toilet stop. This was a very well thought and executed event. I thank to Marek and Sam for all their fine touches, about the location, the nature of lights, and personalised touches. It was simply wonderful! I took this package as it includes everything plus phototaking too. If you don't have a good camera, want to enjoy and relax, let them take the photos for you. Small group size allows for more personal touch with the guide. The veg meal is delicious. Great memories, did 5 days chasing the aurora and we only missed it one night. Very helpful and wonderful guides, knowledgeable and patient with all our questions. You should definetely try it and be prepared for the cold. But its so worth it! Thomas and his team have been great hosts, making us feel good, asking questions about us, and taking care of us...and making great efforts to drive to Finland, to let the magic happen. What a great chase and a super organisation ! Deserves 5 stars !